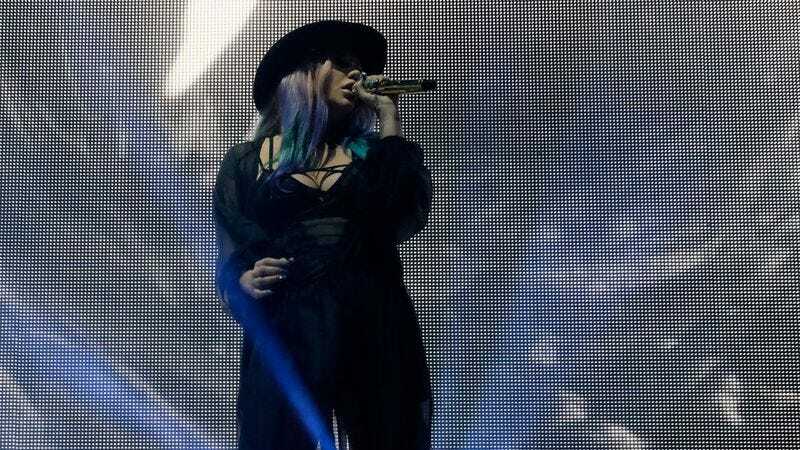 Over the last couple of months, it seemed like Kesha had finally gotten a chance to get her career back on its feet after her long legal battle against Sony and producer Lukasz “Dr. Luke” Gottwald. She lined up some tour dates, she made a surprise appearance at Coachella, and she even collaborated with Russian-born DJ Zedd on a single called “True Colors.” Kesha was also set to perform at the Billboard Music Awards this Sunday, but because awfulness is the natural state of the universe and therefore everything must always be awful, Gottwald (or at least someone from his record label) has stepped in and put a stop to that. This comes from Billboard itself, which says that Kesha initially had received approval from Gottwald’s label (Kemosabe Records), but that approval has now been rescinded “following a media report” of some kind about Kesha’s performance. Billboard reached out to Gottwald’s people for further clarification, but the implication seems to be that Kemosabe pulled its approval after hearing that Kesha would try and do some anti-Dr. Luke stunt at the show. That idea is backed up by a post that Kesha made on her Instagram, in which she said that she “was never going to use a picture of him, speak of him, or allude to [the] legal situation in any way,” explaining that she just wanted to sing a cover of Bob Dylan’s “It Ain’t Me, Babe” to celebrate one of her “favorite songwriters of all time” (Kesha is a noted Dylan fan, and she’s set to appear at Nashville’s Dylan Fest next week). The big argument at the center of this whole thing is that Kesha wants to be freed from her contract so she doesn’t have to work with the man who she alleges repeatedly assaulted her, with Gottwald and Kemosabe arguing that nobody’s forcing her to do anything. In early April, Kesha claimed that Kemosabe offered to let her out of the contract if she’d publicly apologize for her accusations against Gottwald, but she said in an Instagram post that she “will not take back the truth.” Gottwald’s lawyers responded by reiterating their point that “Kesha is already free to record without Dr. Luke,” but they also added that she cannot “continue to lie about Dr. Luke through publicity stunts and outrageous smears.” Considering that Kemosabe is now literally preventing her from performing, though, it seems that Kesha may be free to record without Dr. Luke, but she isn’t free to sing at the Billboard Music Awards without Dr. Luke.